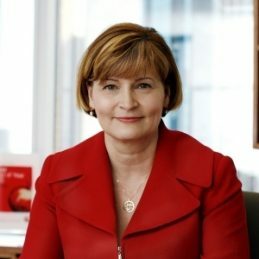 Rosemary Vilgan held the position as CEO of QSuper, one of the world’s largest pension funds, from 1998 until the end of 2015 and is globally recognised for innovation. Rosemary achieved from a very young age, becoming QSuper’s CEO at the age of 33 and simultaneously becoming the youngest person ever, and first female, to chair the Board of the Association of Superannuation Funds of Australia (ASFA). In 2013, Rosemary was named as the 2013 Telstra Queensland and Australian Business Woman of the Year. She was also the Queensland and Australian winner of Telstra’s Community and Government awards and the Queensland winner of Telstra’s award for Innovation. Building a culture of continuous innovation – How to build an organisation with a clear direction. Are you committed to exceptional customer service? – Asks the many hard questions in customer service delivery. Everyone is a leader – Is your organisational culture lived and breathed? Women don’t just live on Venus and men don’t just live on Mars – Do you have to manage women differently? Diversity – It’s not just what’s on the outside that counts – Why businesses should value “diversity of experiences”. So you really think you know how the investment world is developing? – How do the largest investors build their portfolios? Living money – Money is not all facts and figures. Emotions, upbringing and psychology all play huge roles. Your biggest financial asset is your superannuation – Superannuation is considered the most complicated product to buy.